The telephone is a classic example of how inventions are often the culmination of work done by many individuals, sharing and borrowing each other’s ideas. 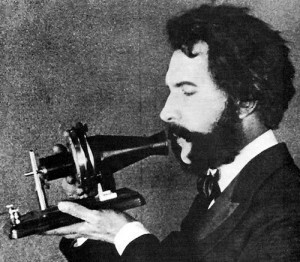 What’s for sure is that Edinburgh-bom Alexander Graham Bell patented his telephone model in 1876, liling his patent just hours before a rival inventor. The telephone came about thanks to the discovery that a thin metal sheet vibrating in an electromagnetic field produces an electrical waveform that corresponds to the vibration and can be acoustically reproduced. Its also pretty likely that Bell made the first telephone call: “Mr Watson, come here – I want to see you,’ he barked down the phone to his assistant in the next room. They first publicly demonstrated their invention at the Centennial Exhibition in Philadelphia in 1876”, and made their first long-distance call – over ten miles, between their respective homes in Canada – a month later. In 1877, Bell set up the Bell Telephone Company, and 150,000 households in the US had telephones within a decade. The high-pressure steam engine is one of the most extraordinary inventions of all time. 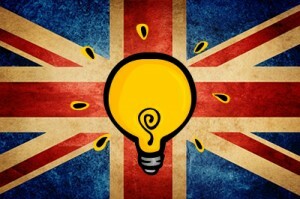 It made the Industrial Revolution possible; it made the modern world possible. For most of history, empires ran on one thing: slave power. During Richard Trevithick’s time we had wind power and water power to a very limited extent, but it wasn’t portable: you had to build your generator next to a stream if you wanted to tap into it. What Trevithick did with high-pressure steam was to take power, in this case in the form of coal, and turn it into workable energy. Everybody believes that James Watt was responsible for the modern engine, but he wasn’t. What he did was improve on another invention called the atmospheric engine (devised by Thomas Newcomen in 1712). It was the size of a house, could never have been portable and operated on a completely different principle to the modern steam engine. It could pump water, but basically it was dead-end technology. Trevithick’s invention, however, would become the father of the steam train and the father of portable steam power. On Christmas Eve 1801 he tested a steam car, known as the Puffing Devil, which successfully climbed Camborne Hill in Cornwall. 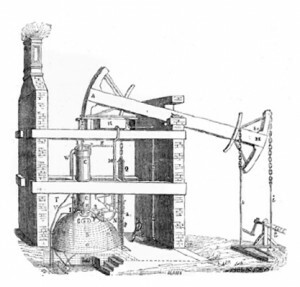 In doing so, Trevithick became the first person to power a piston using high-pressure steam. It had been attempted for 2,000 years, but every time people had tried, it had blown up and usually killed whoever was nearby. Trevithick managed it: he had the materials and the know-how, and his invention reduced the steam engine from the size of a house to the size of a modern car. He liberated power, and in doing so transformed the world. Percy Shaw was a Yorkshire road contractor who devised the Catseye reflector in 1933. He liked to claim that inspiration struck when he was driving home from the pub on a foggy night and saw the reflection of his headlights in the eyes of a cat, sitting by the road. The lens that reflects light back at its source had in fact been created by another British inventor, Richard Hollins Murray, a few years earlier. Shaw’s masterstroke was to wrap this lens in a flexible rubber casing and set it into the centre of the road. 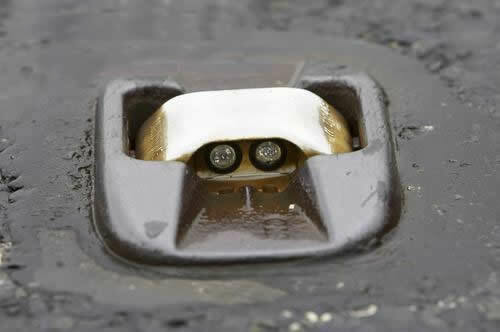 (In the Second World War, the Ministry of Transport realised that Catseyes were the perfect way to keep roads safely lit at night during blackouts.) Shaw’s Catseye was voted the greatest design of the 20th century. Alexander Wood was an eminent Edinburgh doctor who co-invented the first true hypodermic syringe. The syringe itself had been known since ancient times; and the hollow needle had been invented a few years before, but Wood’s innovation was to combine them into a means of penetrating the skin of his patients to deliver drugs intravenously without having to cut the skin first. It is said he found inspiration in the sting of the honeybee. He initially used the syringe for morphia and other opiates – and he used a glass syringe so he could see how much medicine had been used. He also later came up with the idea of adding a scale. This was a great breakthrough in anaesthetics, and helped advance the procedure of giving blood transfusions.